Moscow: Liverpool’s stuttering early-season form continued as they wasted a string of chances and needed a first-half equaliser from Philippe Coutinho to secure a 1-1 draw with Spartak Moscow in the Champions League on Tuesday. 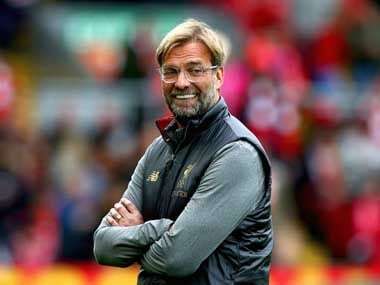 Juergen Klopp’s side maintained their recent habit of conceding soft goals when goalkeeper Loris Karius was slow to react to a curling free kick from 25 metres by Spartak’s Brazilian midfielder Fernando, which sailed into the net in the 23rd minute. 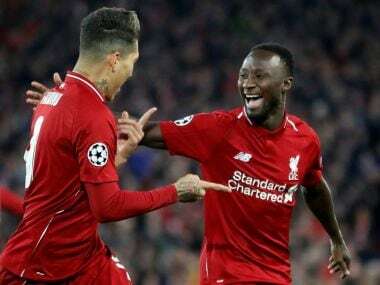 The visitors were back on level terms, however, eight minutes later when Sadio Mane, returning after a three-match domestic suspension, combined brilliantly with Coutinho, before the Brazilian fired the ball above Spartak goalkeeper Artem Rebrov. With draws in their first two Champions League fixtures, both Liverpool and Spartak have two points, and sit two points behind Group E leaders Sevilla, who beat Maribor 3-0. It will go down as another disappointing result for Liverpool, whose Premier League form this season has also been hampered by costly defensive mistakes and an inability to kill off matches when on top. Against Spartak, they squandered several opportunities either side of halftime and failed to capitalise on defensive mistakes from the hosts, whose domestic form has been poor this season to leave them ninth in the 16-team Russian top flight. 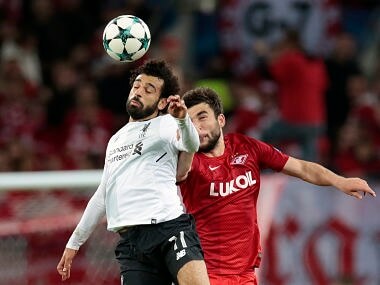 In the dying minutes of the first half, Mohamed Salah fired the ball across an empty net after Liverpool managed to break four on two after a defensive blunder by Spartak. After making a string of key saves, Spartak keeper Rebrov was taken off the pitch in the 67th minute following a collision with Salah. 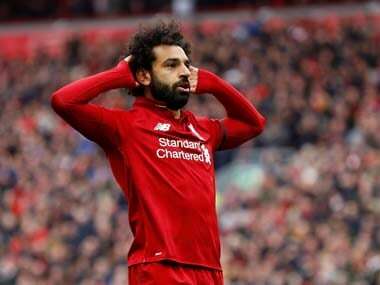 Yet substitute Aleksandr Selikhov was up to the task, denying Salah in the fifth minute of stoppage time with a point-blank save from a header, after Liverpool striker Daniel Sturridge had come off the bench to blast another superb chance over from close range. Spartak manager Massimo Carrera said Rebrov had sustained a bruised knee but could not be sure if the goalkeeper would be added to an already lengthy injury list.